One Simple plan: Unlimited nationwide calling in the Continental United States and Canada, voice-mail, and all the popular features that come with a standard phone with no extra costs. The standard installation procedure assumes that you have a high-speed Internet connection, a home router or gateway to share your Internet connection. The standard installation procedure assumes that you have a high-speed Internet connection, a home router or gateway to share your Internet connection and to interconnect your PC and Cable Phone, and DHCP running on your network (most home routers do this). First install the Broadband Phone Adapter (ATA). After installing the ATA, activate your Mid-Hudson Cable Phone account. You will need your 10-digit activation code. This can be found on your account web page by logging in to your account. Enter the MAC address located on the ATA adapter and click on “E-mail me a new password”. Get password from e-mail then return to login page. Login with your MAC address and new password used to create the account in the account login section. You must agree to the Terms and Conditions and read the important 911 information which will appear. Reboot the unit by unplugging the power cable and plug it back in. Unit should take approximately 30 seconds to a minute to configure and reboot. At this point you may pick up your telephone handset and hear a dial tone. The first call you should make should be to set up your voice-mail. 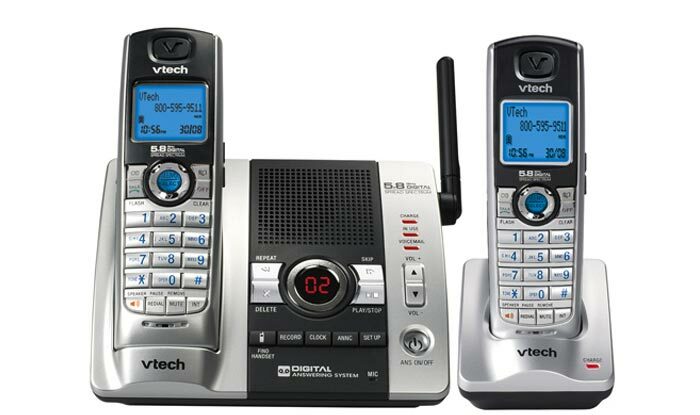 To access your voice-mail from your cable phone dial your phone number. When prompted with a voice-mail recording press the star (*) button on your phone keypad. You will then be prompted to enter your password which is your 11 digit Cable Phone number (ex: 1-518-555-5555). You will then be instructed to change your password and record your greeting messages. Reminder: Visit Mid-Hudson Cable Phone Support for all your questions about your Mid-Hudson Cable Phone service or call our Cable Phone help desk at 1-518-943-6600 option 4, then option 2. If you have just gotten Cable Phone you need to Activate your Phone before you can begin using it. Mid-Hudson Cable Phone system supports E911 in Columbia, Greene and Albany counties. E911 provides the local 911 dispatch center full name and location of the call. Mid-Hudson Cable Phone system supports E911 in Columbia, Greene and Albany counties. As always, you need to remember that VOIP service is dependent on power, internet and many other factors and it should not be considered used or relied upon as a life line. E911 provides the local 911 dispatch center full name and location of the call. Cable Phone Customers are encouraged to verify their 911 is working once they have set it up. When the dispatcher answers (911 what is your emergency…) they should immediately say “no emergency I would just like to verify my information”. If there are active emergencies the dispatcher may tell the Cable Phone customer to call back. Unlimited nationwide calling in the Continental United States and Canada, voice-mail, and all the popular features that come with a standard phone with no extra costs. Please click here to download the Porting Phone Number Authorization Form to transfer your phone number to Mid-Hudson Cable. In most cases, there’s no need to give up your phone number just because you change phone companies. Mid-Hudson Cable Phone offers you the option of keeping your phone number in most cases. Just sign up and select the option to keep your existing phone number, and we’ll send you the simple steps to start the transfer process. You can also transfer your number later if you want to try out your Mid-Hudson Cable Phone service first. Transferring your number will take a minimum of twenty business days once you start the transfer process. During the number transfer process, we will provide you with a temporary number so that you can begin to use our service immediately. Then, when your number is transferred, we’ll inform you and your number will be transferred automatically. If for any reason Mid-Hudson Cable Phone cannot transfer your number, you may choose to get a new Mid-Hudson Cable Phone number in your area or elsewhere, or you may decide to keep your existing phone line with minimal service and add a Mid-Hudson Cable Phone number to save on outgoing calls. Now, you’ll be able to see all of your calls on one convenient bill. Mid-Hudson Cable Phone allows you to add multiple phone numbers to your account. Have fax lines, toll-free numbers, and virtual phone numbers on any Mid-Hudson Cable Phone account. Call Forwarding is available. You can send incoming calls to any phone number you choose in the contiguous 48 States and Canada (excluding Alaska, Hawaii & Puerto Rico). And it’s FREE! IMPORTANT: Call Forwarding is free with all Mid-Hudson Cable Phone however; please remember that each forwarded call is treated as an outgoing call. To setup call forwarding, Log into your Cable Phone account, enable forward all calls & enter in forward unreachable box. You can Forward All Calls When Your Phone is Unreachable, by enabling it in the control panel. By enabling this feature if you connection goes down, all calls will be forwarded to an alternate number you provide, such as a cell phone. Automatic Call Return returns your last incoming call automatically, whether or not the call was answered. Just dial *69 and your Mid-Hudson Cable Phone service will dial back the last call made to you. There are No Extra Charges for *69 Automatic Call Return! There are no extra charges to use the Automatic Call Return feature; however, returned calls are treated just like any outgoing call. The days of busy signals are over. Call Waiting allows you to accept an incoming call when you’re already on the phone. This feature places your first call on hold while you answer the incoming call. You’ll never miss a phone call again. While you’re on the phone, a beep tone alerts you to another incoming call. If available, the phone number of the caller will also display on your Caller ID device. If you want to take the call, press the flash button or switch hook on your phone to answer the second incoming call while the first party is placed on hold. (Calls that you do not answer will go to your voice-mail.) Press the flash button or switch hook again to reconnect to the original party, and hold the waiting party. You can continue to alternate between parties as often as you’d like. It’s like having two lines while paying for only one. Call Waiting ID allows your phone to display the number of another caller while you are on the phone. Call Waiting must be enabled for Call Waiting ID to display. This feature requires that you have a telephone with built-in Caller ID capability and a display or an external Caller ID box with a display. Call Waiting is FREE with your monthly calling plan fee. 3-Way Calling – Anywhere, Any Time, Easy Create a conference call between yourself and two other parties instantly, without any special equipment, even when your phone does not have a conference button. It’s this easy: Dial your first party as you normally would. Once connected with the first party, press the Flash Button or Switch Hook on your phone. Listen for a dial tone, and then dial the second party. After the second party is connected, press the Flash Button or Switch Hook again, and you’re all connected. To end the conference, simply hang up. If you have Flash Call Transfer, the conference does not end when you hang up since the callers are transferred together. COSTS: There will be NO extra fee for making a 3-Way Call. 3-Way calling is recorded as two separate phone calls made from your account at the same time. Calling within the contiguous 48 States and Canada (excluding Alaska, Hawaii & Puerto Rico), both calls are FREE. If you are calling internationally, your call will be billed based on the rates for those countries. See our International Rates. A Virtual Phone Number is a second number that rings to a primary Mid-Hudson Cable Phone line. A Virtual Phone Number is a way for people outside your local calling area to call you for the price of a local call, if you choose a virtual phone number in their local calling area. Whether they’re across the country, your family and friends can call you like you’re right next door when they use another VOIP phone. Virtual Phone Numbers can be from most area codes in the U.S., thereby providing enormous savings to people phoning you from that selected area code. Just as your primary Mid-Hudson Cable Phone number does not need to be tied to your actual geographical location, virtual phone numbers can be taken out from any of your friends’, family’s, or business contacts’ local area codes. All you pay is the small monthly fee for the Virtual Phone Number, just $4.99 per month with a $9.95 activation fee. International fees may be applicable. For businesses, in addition to saving their customers and potential customers money by permitting them to make a call to a number in their local area code, Virtual Phone Numbers allow the businesses to show a local presence in a geographic area without physically residing there. Virtual Phone Numbers are for incoming calls only, so they ring to your primary Mid-Hudson Cable Phone line. In the same way that you can have more than one e-mail address point to the same e-mail account, you can have more than one Mid-Hudson Cable Phone number link to your Mid-Hudson Cable Phone primary number. Behind the scenes, the Mid-Hudson Cable Phone Call Routing Network points your Virtual Phone Number calls to your primary line. Sign up for a Virtual Phone Number through your web account online. Just click on “Add a Virtual Phone Number” from the “Features” link and pick the area code of your choice from the selections available. You live in New York, but all your friends live in California? No problem! You can have a California number. With Mid-Hudson Cable Phone, you are no longer tied to your local area code. You can select any area you want from our list. This means that wherever you live, you can request a rate center that is local to those who call you the most. This feature allows you to choose a phone number from any of the available rate centers, regardless of where your phone will be physically located. There can be many rate centers within one area code. With Mid-Hudson Cable Phone, rate center selection does not affect your calling rates. When you make calls from your account, all calls within the Continental United States, and Canada are included with your flat-rate service. Your area code and phone number is only used for inbound calls. This feature is always FREE of extra charge. Dial 411 with Mid-Hudson Cable Phone and connect with National Directory Assistance and Reverse Directory Assistance public operators to check telephone numbers, addresses, and reverse lookup service across the nation for access to any listings in the contiguous 48 States and Canada (excluding Alaska, Hawaii & Puerto Rico). Reverse search features allow you to get phone numbers by address or addresses by phone number. You can easily expand the geographic area of your search, and you don’t have to provide the operator with perfect spellings either. Operators can even assist you with partial of incorrect spellings when you aren’t sure. Operators are bilingual (English and Spanish). Each dialed 411 calls cost just $1.25. With Mid-Hudson Cable Phone, now you can get your messages by phone or e-mail. You can easily retrieve the messages anywhere, anytime—at home, in the office, on the road, or on your computer via e-mail. Mid-Hudson Cable Phone voice-mail is a service that allows callers to leave messages when you are not available, or when you simply choose not to answer your phone. You can record your own outgoing message so that when calls are routed to your voice-mail, callers will hear your voice-mail greeting and have the option to leave a message. With Mid-Hudson Cable Phone voice-mail, you can check your voice-mails by phone with several access numbers across the contiguous 48 States and Canada (excluding Alaska, Hawaii & Puerto Rico). To hear your messages from a phone, dial your phone number or, for your convenience, we offer an 800 number. Out of the area? Simply dial your phone number and pin. Better yet, you can check your messages without checking your phone. Access your voice-mails through your web account and play them back through your computer. Mid-Hudson Cable Phone can also send you an e-mail notifying you every time you receive voice-mail and even attach the actual message. You’ll be able to forward voice-mails to others as an e-mail attachment or save them to your PC’s hard drive. Most of the popular media player formats are supported. All of these voice-mail features can be turned on or off anytime you want. Activate e-mail notification at the touch of a button. Record scheduled greetings for different hours of the day and different days of the year. Choose a new PIN for voice-mail access whenever you want. What is Mid-Hudson Cable Phone? If you have a Mid-Hudson High Speed broadband Internet connection, Mid-Hudson Cable Phone is a service you can use to make Internet phone calls at significant savings over analog calling. You can call anyone or any phone number. Use your Mid-Hudson Cable Phone line as you would use any other phone. Make calls anywhere in the contiguous United States including Canada, excluding Alaska & Puerto Rico. Cable Phone offers competitive international rates. See International Rates. Mid-Hudson Cable Phone sends your phone call across the Internet, your calls go through your Mid-Hudson Cable Modem, and your Mid-Hudson Cable phone adapter splits your high-speed broadband Internet connection. This means that your Internet connection should work as it did before you installed the Mid-Hudson Cable phone adapter—sending e-mails and other web data to your personal computer — while your phone calls are sent through your phone adapter to your regular or cordless phone. Most analog phones can be used with Mid-Hudson Cable Phone service. Typically, household phones are analog. 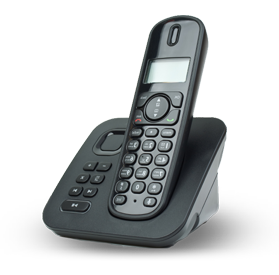 Corded or cordless telephones work exceptionally well. Your Mid-Hudson Cable Phone Service works independently from your computer, so your computer does not need to be turned on. Simple Savings: Save up $14 every month when you subscribe to the All the Right Connections Package including; Basic Cable, High Speed Internet Access and Cable Phone. Simple to Switch: Keep your same number* with no switching fees or interruptions in service. *In most cases your current number can be ported depending on your current carrier. There is a $15 charge to port your number. Simple to Use: Mid-Hudson Cable Phone works with your current phones and jacks. *additional fees may apply, call for details. Sign up today for a discounted rate when combined with our services.